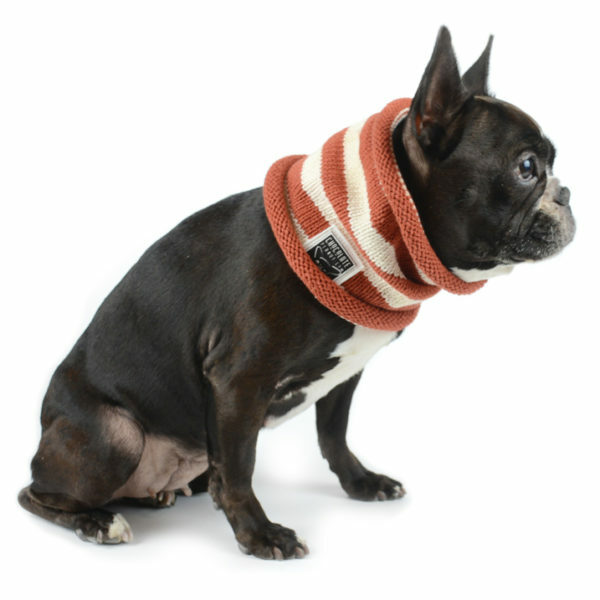 Part of our Comfy line, your dog will look sweet wearing these tube scarves, rolls on each end. All cotton. Preshrunk. Limited quantity in blueberry and cranberry. As I was working on “My favorite sweater,” I also wanted to provide a tube scarf. I was inspired by the fleece tube I used to wear eons ago. This candy cane design has been available for years, and now we offer new colors with more on the way. We have a few left in the blueberry and cranberry color options in all sizes. Once gone, they’re gone. Denim and rust, as well as future colors, available in large only. Medium and small sizes shown in photo with blueberry small on top and cranberry small on bottom of blueberry medium. Preshrunk 100% cotton. 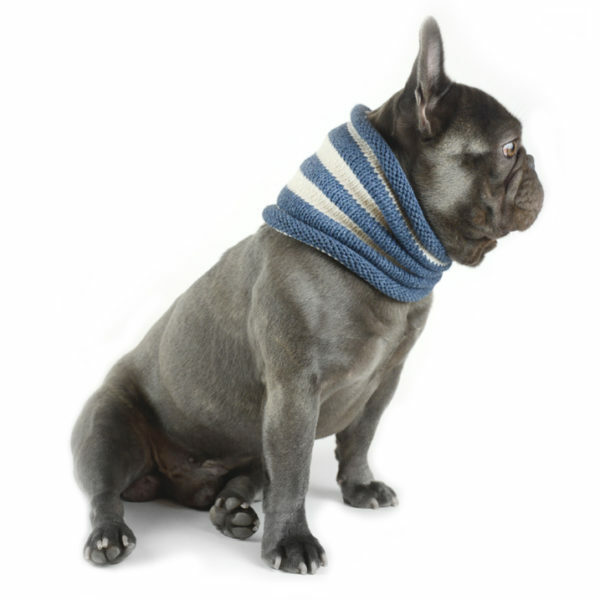 Designed to fit loosely around the neck. Rolls on each end. Some stretch. Handknit in USA. Please click on the Size Chart tab for sizing. 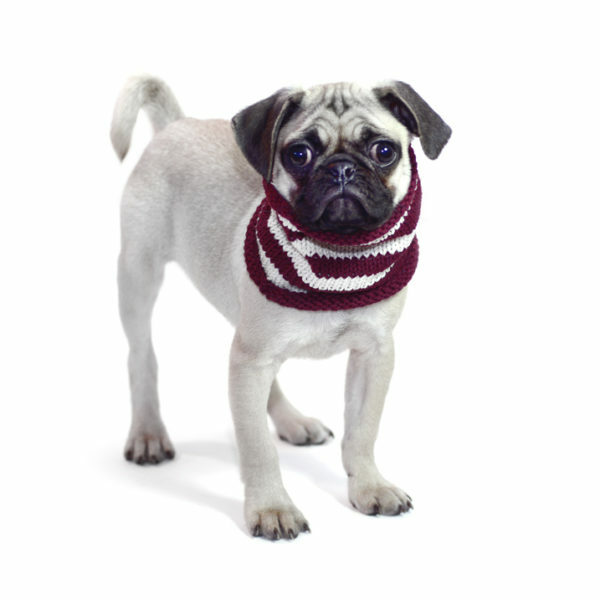 SMALL: 6 inches tall x 5½ inches wide lying flat, fits up to 11 inches around neck. 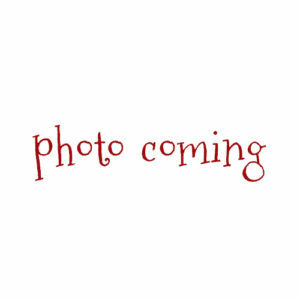 MEDIUM: 7 inches tall x 7 inches wide lying flat, fits up to 15 inches around neck. LARGE: 8 inches tall x 8.5 inches flat. fits up to 17 inches around neck. Stripe width: small ½ inch, medium and large 1 inch. The roll takes about an inch from each end. Chevy’s neck measures 17 inches around, and Betty’s is 13 inches, both are wearing a large. 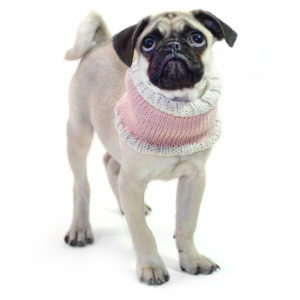 Aggie the pug is wearing a small. Her neck measures 11 inches.